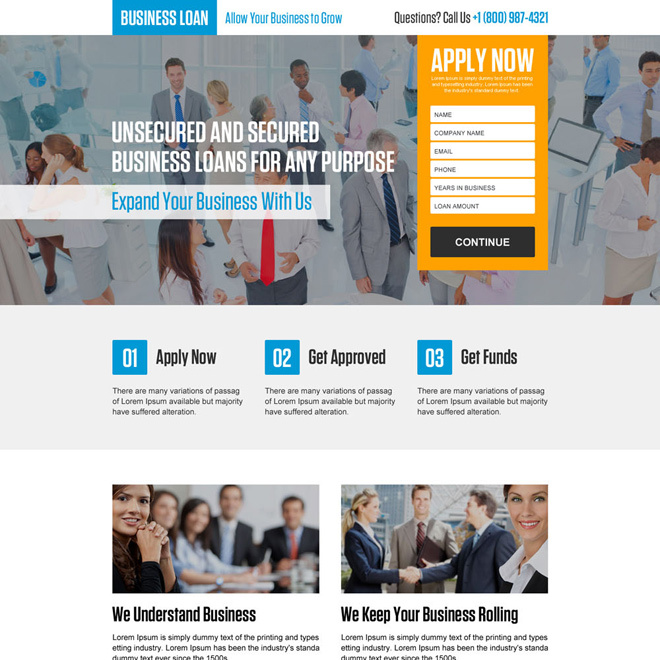 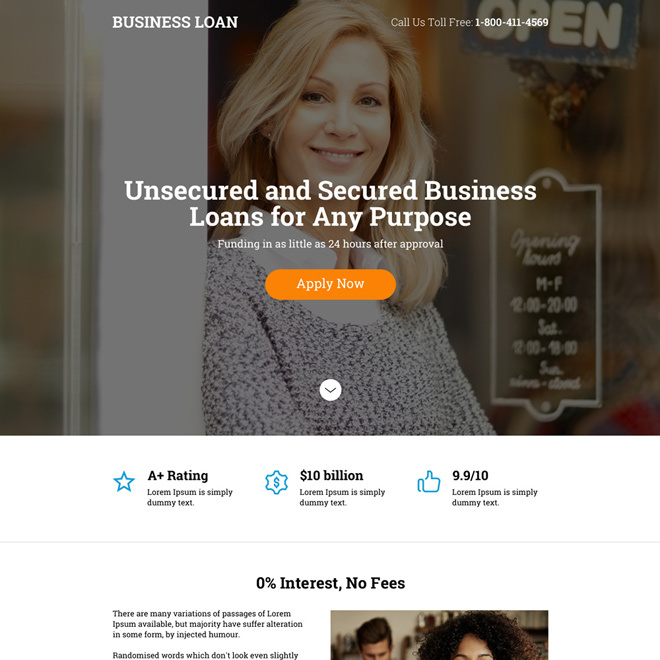 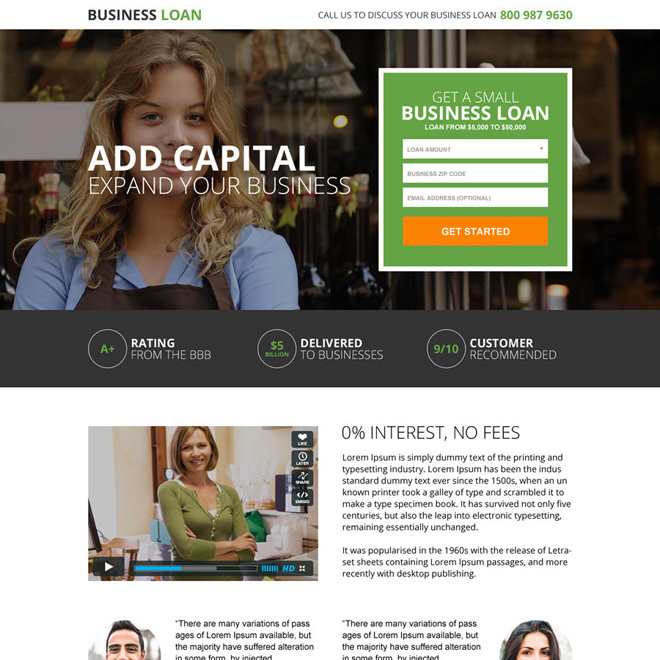 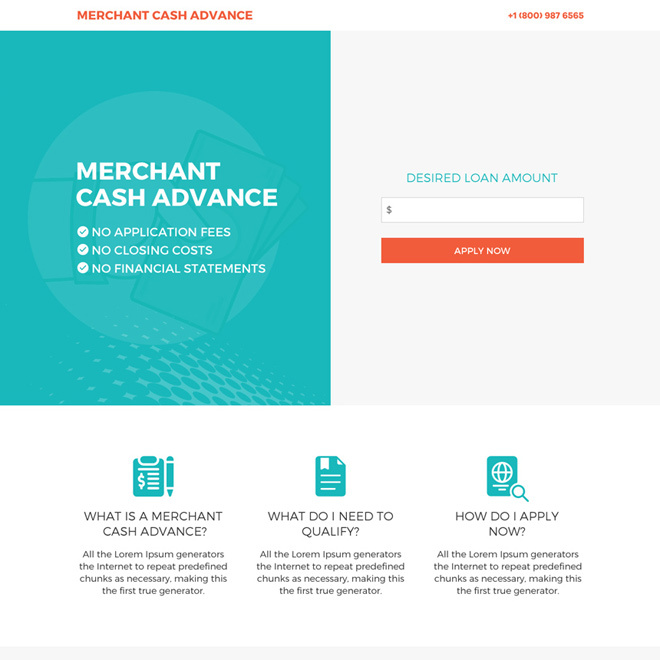 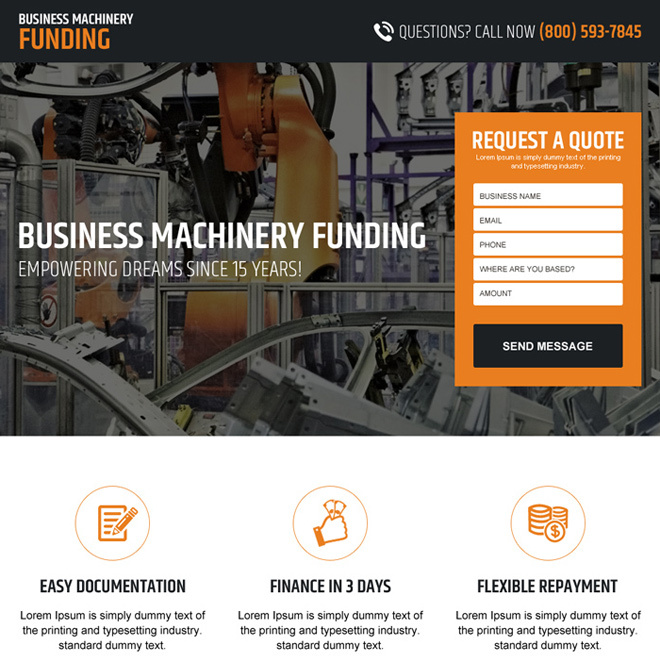 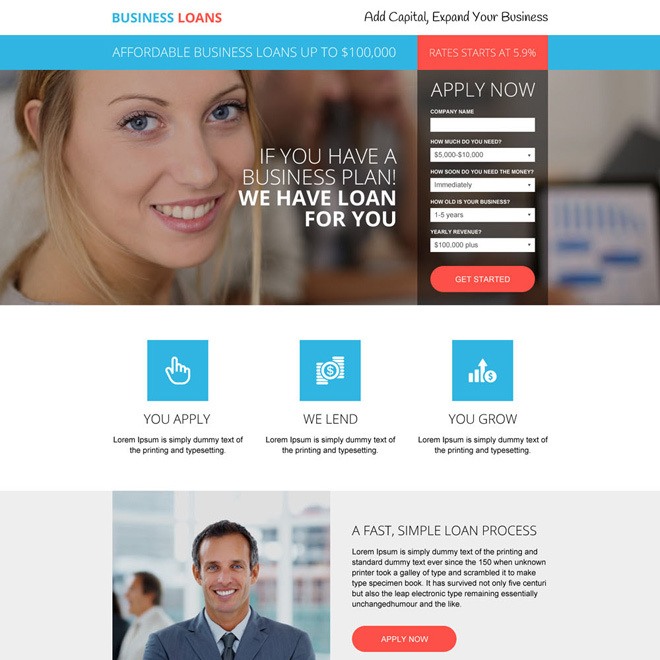 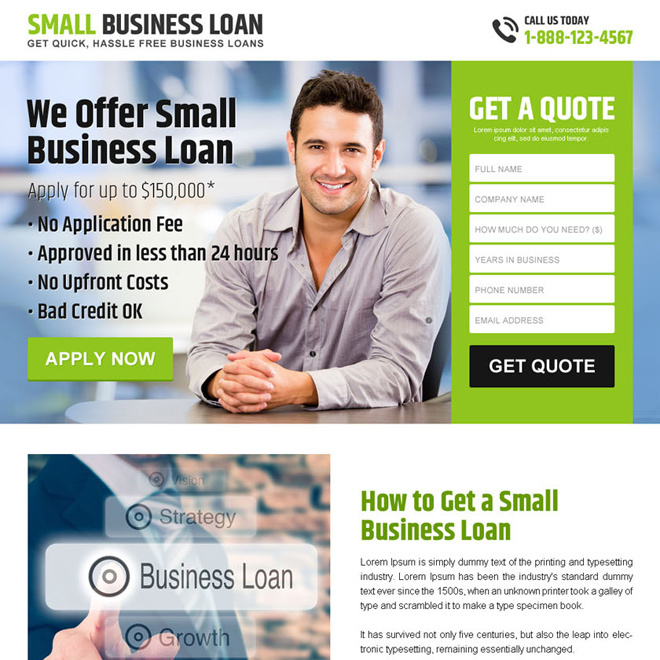 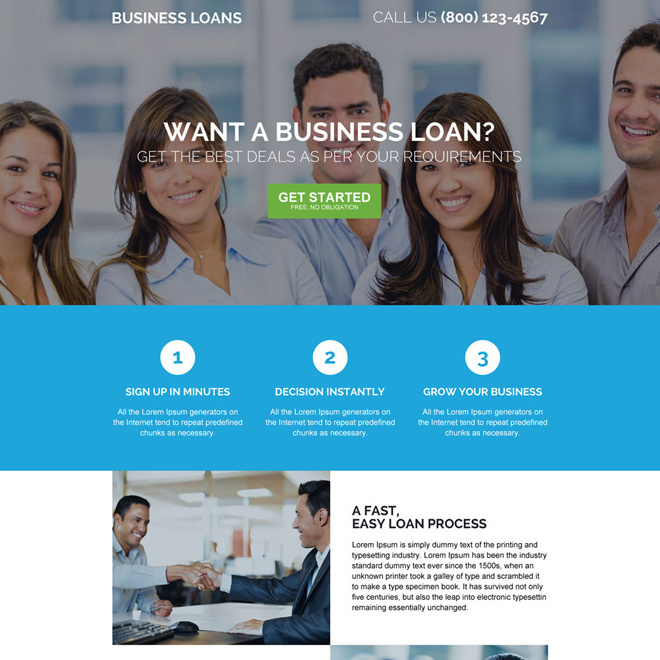 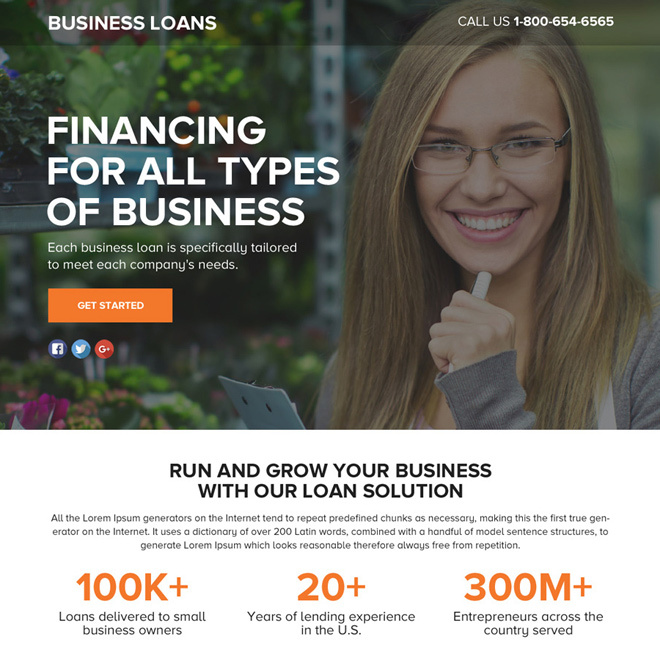 Responsive business loan landing page design to maximize your conversion rate. 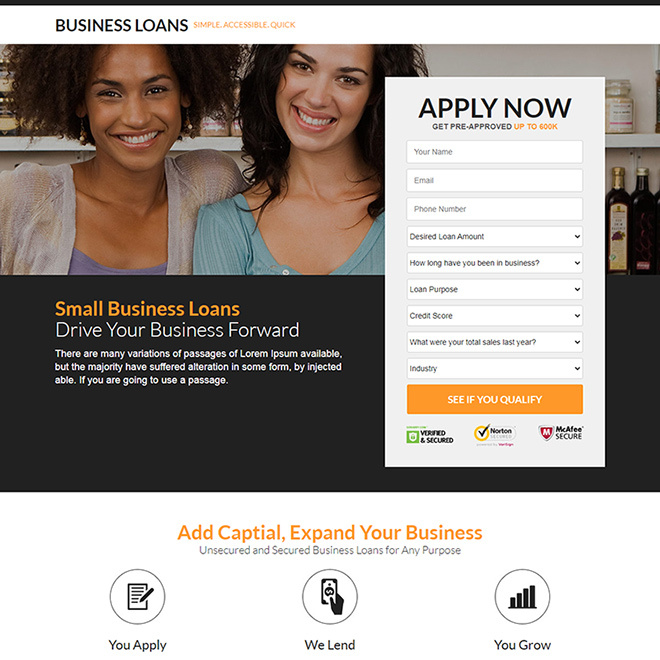 Get responsive business loan lead capture landing page design to boost your loan business conversions and leads. 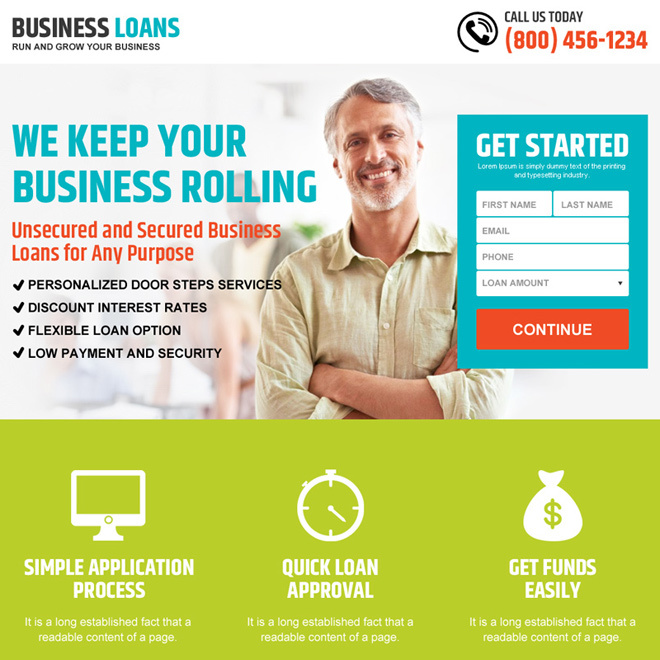 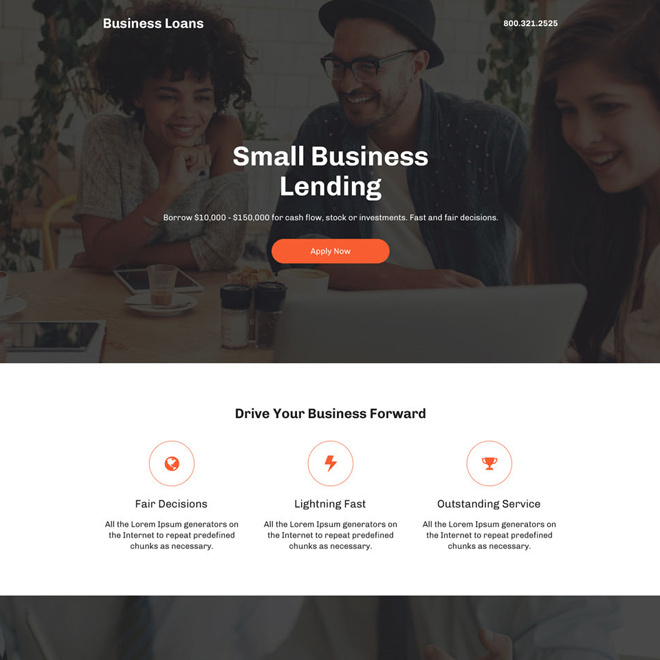 Our conversion centered professional responsive business loan landing page design will convert your business into next level by converting your visitor into customer.